*warning the photos in this post aren't the best haha soz* When I was at Aintree Shopping Park last week taking some pictures and doing a bit of shopping for my ambassador posts, I picked up this gorgeous shirt and had no idea I'd fall so in love with it. It's soft and lovely and pretty. 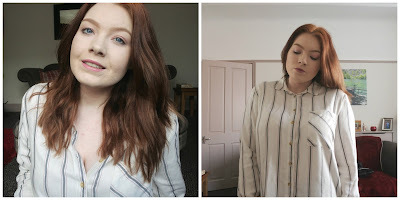 It was £15 from M&S, even if my dad laughed at me and couldn't believe M&S had trendy shirts - but these days they're far from the old-lady shop they used to be when I was a kid, plus their beauty hall is amazing. Anyway, I chose this shirt for the softness of the fabric, the off-white colour that doesn't wash me out, and the way it floats so delicately. It's one of those shirts that can be worn casually (open on top of something, maybe) or dressy. I've worn it with jeans, with a body con skirt, with tan suede leggings. I even wore it with joggers, but not to leave the house - I just like it. It makes me feel put together and grown up, and it feels so soft and nice against my skin in a way that not a lot of clothes do. 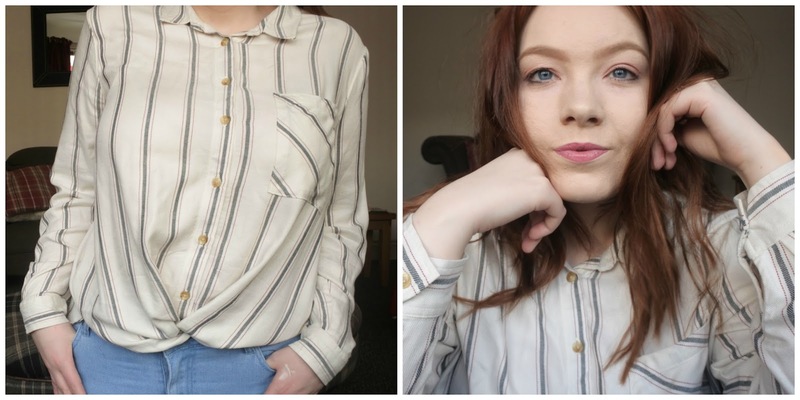 I'm not really a fashion sort of person, as you can probably tell from my blog, but I really have fallen in love with this shirt. This post was written in collaboration with Aintree Shopping Park but all opinions are my own - please see my disclaimer for more info.